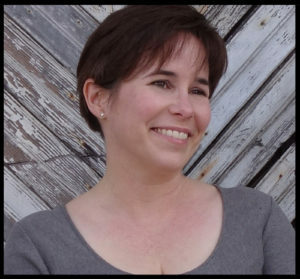 Fran Wilde’s work includes the Andre Norton-, and Compton Crook Award-winning, and Nebula-nominated novel Updraft and its sequel Cloudbound, publishing from Tor in September 2016. Her short stories appear in Asimov’s, Tor.com, Beneath Ceaseless Skies, and Nature. Her novella The Jewel and Her Lapidary is available from Tor.com Publishing. She writes for publications including The Washington Post, Tor.com, Clarkesworld, iO9.com, and GeekMom.com. You can find her on twitter @fran_wilde. 1. First of all, what do new readers need to know about Fran Wilde? My tendency is to color outside the lines – I write all over the genres, occasionally drop a poem, and sometimes draw cartoons when I should be writing. My favorite topics to mess with recently include social class, disruptive technology, engineering, artisan culture, birds, flight, monsters, military optics, very bad gemstones, and the ghost of Tallulah Bankhead. 2. 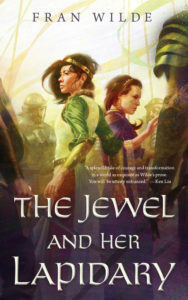 What inspired your Tor.com novella “The Jewel and Her Lapidary”? Years ago, I worked as a jeweler’s assistant. I learned how to manipulate metals, solder, and stones (and how not to). The craft and science that goes into that process has always fascinated me. At the same time, I got a firsthand look at how people respond — from facial expressions to the ways their eyes light up — in the presence of different kinds of gemstones. That made me want to explore the kind of control gemstones might exert in a secondary world, and the trouble they could get up to. “The Jewel and Her Lapidary” is a facet of a larger set of stories that range in length. The short story “The Topaz Marquise” is available for free at Beneath Ceaseless Skies. 3. What can you tell us about your new novel Cloudbound? 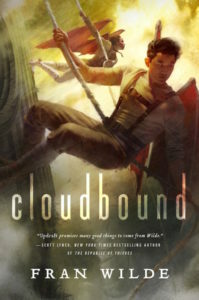 Cloudbound is a companion novel to Updraft. Same world – a city of living bone rising high above the clouds -, different narrator… which I am very excited about! Within you’ll find monsters, politics, wings and wind, and a whole lot of… well. We’re heading down into the clouds, so you’ll be discovering a lot of things alongside the characters. 4. Can you remember the first story you read that made you think “I want to be a writer”? As an adult, Genevieve Valentine’s short story “Bespoke” (Strange Horizons) reminded me that I could be a writer. “A Bead of Jasper and Four Small Stones” (Clarkesworld) drove the point home. As a child, probably both The Phantom Tollbooth, because I was fascinated by how playful it was, and Tuck Everlasting. 5. Do you prefer long form to short? I like both equally. Depends on what form fits the story. I’ve written stories as short as 250 words (“You are Two Point Three Meters from Your Destination” – Uncanny Magazine) all the way up to novel-length. 6/7. You get to invite five fictional characters to dinner – who do you choose and why? Cent, from Steven Gould’s Exo; Agnesika from Naomi Novik’s Uprooted; A through L the wyvern from Cat Valente’s The Girl Who Circumnavigated Fairyland in a Ship of Her Own Making; Helva from Anne McCaffrey’s The Ship Who Sang; Yeine from N.K. Jemisin’s The Hundred Thousand Kingdoms, and Karen Memery from Elizabeth Bear’s Karen Memory because I think that would be an incredibly badass girl (& wyvern) gang and who cares about dinner when you’re a badass girl gang that can teleport, do tree magic, roll with gods, sail the universe, and generally overthrow standard assumptions while riding a modified steampunk sewing machine? 8. Name your five favourite books (yes, I know that’s mean). All Time (yes, totally cheating & also I can’t count)? The Penguin Book of Modern Fantasy By Women (1995, Penguin) because of the scope within, because there’s SF hiding among the fantasy… So many reasons. What? … that’s five. Plus a few. 9. If you could recommend one book that everyone should read, what would it be? I would suggest everyone read (aloud if possible) at least one book of poetry in their lifetime – purely for the sound mechanics. It doesn’t matter what kind of poetry – the most important thing is that it’s something you can return to and learn about in layers. But if pressed, I’d probably hand out poets like Wislawa Szymborska, Lynda Hull, Wordsworth, Ai, Rita Dove, Gerard Manley Hopkins, H.D., Elizabeth Bishop, Seamus Heaney, Keats, Chinua Achebe, Pablo Neruda, Ossip Mandelstam, Tracy K. Smith, or Eavan Boaland, depending on the person. Or, barring that, The Watchmen by Alan Moore. 10. 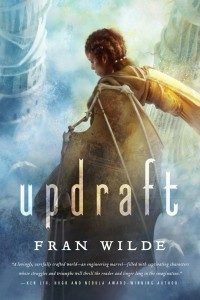 What’s next for Fran Wilde? Cloudbound launches September 27, and I can’t wait. I’m finishing the third book in that group, which is currently called Title TBD. I have a short story coming out in Shimmer in August, and a few other projects that haven’t been announced yet. Plus more gemworld stories. It’s safe to assume online shenanigans will continue.